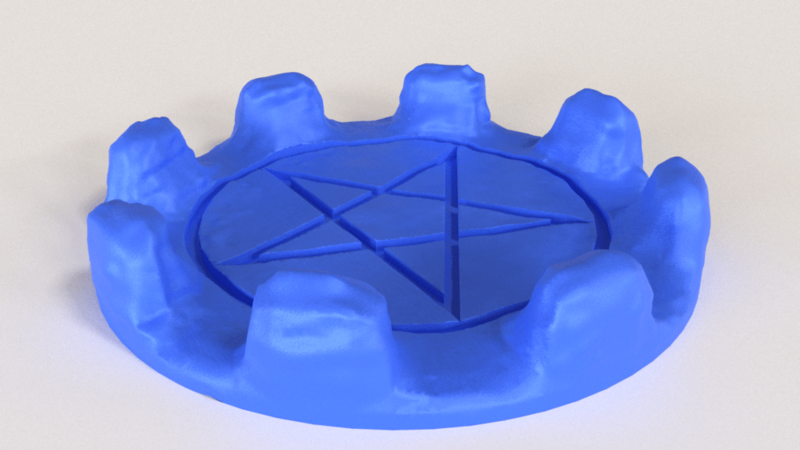 The 3D printable Asset – Dungeon Props is about things you will find in a Dungeon, like Crates, Treasure Chests, Demon Summoning Places, Fireplaces, Torches, Furnitures like chairs, tables, bookcases, Alchemy Tables, Wizard equipment and of course broken Dungeon parts as obstacles, Traps and much more. Here you will find the latest modeling results of the Dungeon Props Project. All Model will be soon available at Kickstarter. Satanic summoning Ring is one of many different Monster and Demon summoning places you will get. These images are rendered samples … as soon I have a 3D print I will post it as well. 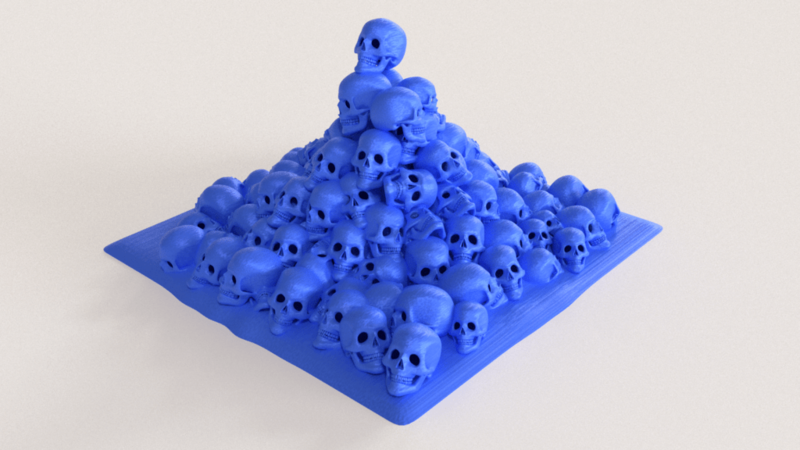 But be aware that a high detailed surface like the pile of skulls is only possible by a Resin Printer on a small scale, a FDM Printer need an upscaling for the details.